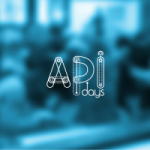 APIdays was born in 2012 in Paris and spread internationally during 2013 with local editions in San Francisco and Madrid. 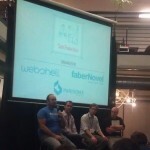 In 2014, Berlin, Dublin, Tokyo and Moscow will also be joining the Apidays family. 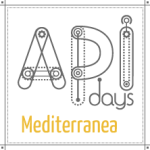 APIdays Mediterranea is the Southern Europe edition of APIdays. Following the good feedback from the 2013 edition in Madrid. APIdays Mediterranea 2014 will be held in Barcelona on May 29th and 30th at the Mobile World Centre. Located on the Plaça Catalunya, this is one of the best auditoriums in town that hosts some of the main international tech events, including the Mobile World Congress. 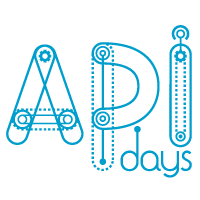 APIdays will consist in conferences, workshops and tutorials in various topics about the development, architecture, management and business of APIs for an international audience of API enthusiasts. Among others, notable speakers include the API evangelist Kin Lane, hypermedia evangelist and rubyist Steve Klabnik and Romain Huet from Twitter. What are you waiting for? You’re just one click away from the registration! Last updated by Bruno Pedro at May 14, 2014 .